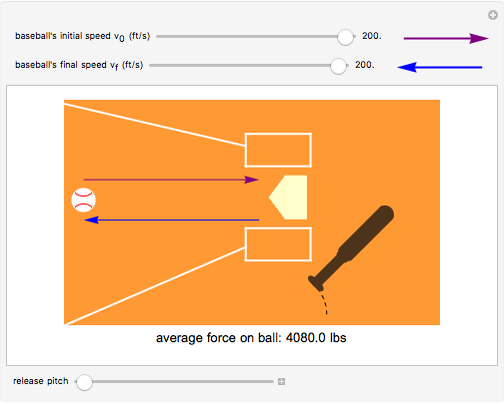 This Demonstration calculates the force exerted on a baseball by a swinging bat as a function of the initial speed of the pitched ball and the final speed of the batted ball . 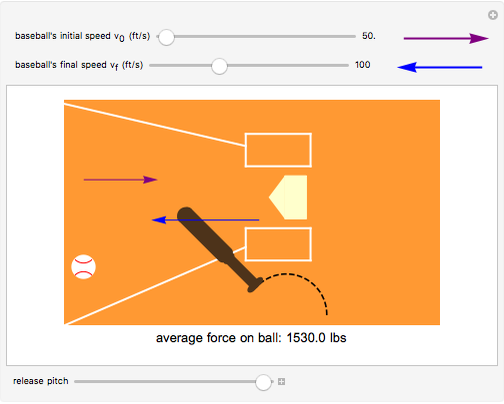 The change in momentum of the ball is equal to the impulse, which is the integral of the force over time: . 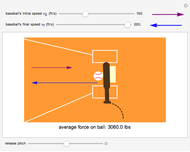 Thus the average force is , where the ball is in contact with the bat between times and , and is the momentum. High-speed photography shows that the time interval is approximately 0.001 second. 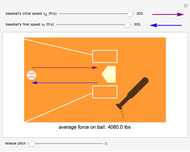 The weight of a regulation baseball is 5.25 ounces, or 5.25/16 pounds, which corresponds to a mass of slugs, using the Imperial system of units, with length in feet, time in seconds, mass in slugs, and force in pounds. The average force is then given by . 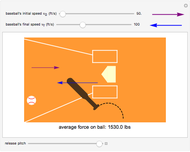 The Demonstration also animates the collision of the pitched ball with the swinging bat. 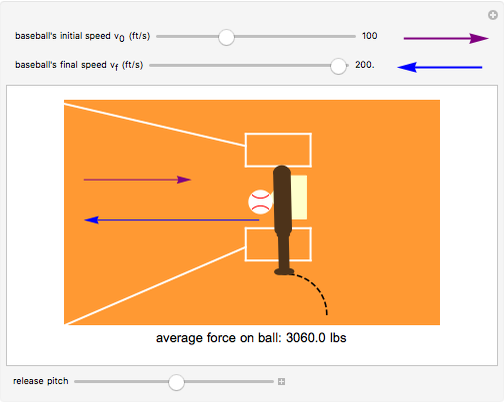 Belanie Nagiel "Average Force on a Batted Ball"